The most awaited facebook app for jio has come now. Jio phone has launched its facebook app on 14th February, 2018. Like other smartphones now you can have dedicated app for facebook. It works just like android and java based facebook app and very easy to use. As promised by jio and expected by us many chat applications are yet to come. You could be getting YouTube and WhatsApp app on your Jio smartphone. If you are looking for WhatsApp or YouTube app for your Jio phone then follow my blog. I will post about it when Jio will officially announce and launch these apps. 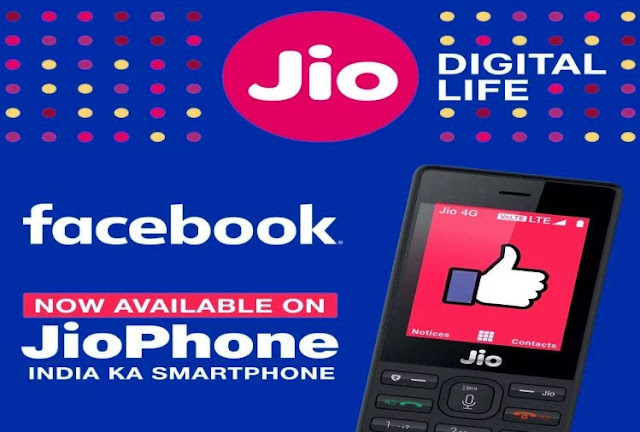 Till then enjoy the easy access of Facebook on your Jio phone with Kaios based Jio Facebook app. Please submit your reviews about Jio Facebook app in comments.